Maryland is collecting preliminary soil samples near I-270 in Rockville, alarming some on the City Council who feel that Gov. 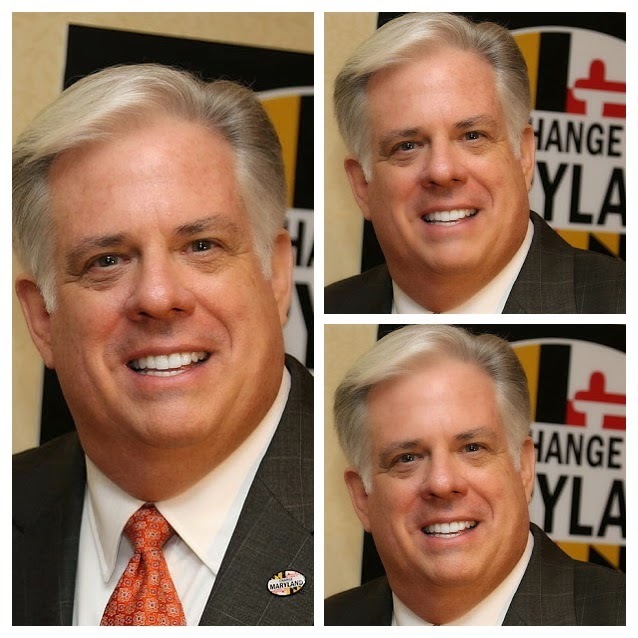 Larry Hogan's Express Lanes plan for the severely-congested interstate is moving forward too quickly. Montgomery politicians have tended to favor either a transit-only solution for the corridor, or a pair of reversible lanes in the center of the highway. Hogan's plan would widen 270, and add tolled Express Lanes at little cost to the taxpayer, as they would be built and operated by a private firm. "They're actually taking soil samples. They're trying something. They're looking for information. This tells me they're not just looking at reversable lanes. And so they have something in mind beyond what they said, so that's upsetting," Councilmember Mark Pierzchala told colleagues Monday night. Pierzchala asked what options the city has to fight Hogan, and what the County Council and other local bodies could do to help the city. Councilmember Julie Palakovich Carr said she was told by residents of Regents Square that the development's management had told them to expect state inspectors to be collecting soil samples around the townhomes there. Pierzchala urged city staff to seek partnerships with the City of Gaithersburg and local HOAs along the highway. Hogan, whose popularity has reached the highest numbers recorded by the Washington Post in a quarter century, has picked another winning issue in his Express Lanes plan. To counter him, his opponents are forced to publicly stand in the way of traffic congestion relief, a position unlikely to be popular among angry highway drivers in an election year. Hogan's plan can move forward over the objections of local officials because it requires no funding from County or federal sources. Highest for what? A Maryland governor? Any governor anywhere? Or is his popularity really the highest number the Washington Post has ever seen? Is his popularity measured in several googolplexes? 10:39: How would more capacity not provide congestion relief? Let's stick to reality here, folks. The highway was widened dramatically just 20 years ago. If increased capacity provides congestion relief then why is it so congested today? 5:45: Very simple - the County Council approved massive development in Germantown, Clarksburg and Damascus, but never built the long-planned second Potomac River crossing and M-83 Highway. With neither escape valve in place as population grew, the new capacity was quickly eaten up. The widened highway will be just as congested as the current one. Who/what will you blame when that inevitably happens? "highest numbers recorded by the Washington Post in a quarter century"
Based on what? Did the Post say they were the highest? Did you read every Post for the past 25 years and tally up the numbers? 10:39 AM is right. You just threw numbers up there with no data to back it up. Sounds like Trump when he boasts .people are saying BEST EVER. 11:24: Yes - the Post just reported this week the highest popularity of any Maryland governor in the last quarter century in their polling. Ha, the idea this wouldn't cost taxpayers anything is absurd. Hell, we're already paying for this Hogan study/reelection tool! 2:38: Wrong - the Express Lanes will be built and operated with private funds. It's David Alpert's worst nightmare. If you truly believe no public funds will be dedicated to the project — I’ve got a bridge to sell you. Required reading for conservative/libertarian numbskulls - the history of the "Dulles Greenway". 12:17: Make sure you read the part about who was in charge of the Dulles Greenway, too. There are never backups on the greenway??? We can only imagine what our Rockville Pike would be like during rush hour if I-270 wasn't built. I understand it is tough making a decision to widen a highway. The biggest problem is we don't have the money to provide the best solution. A highway over a highway is a solution, but costly. It amazes me how we have highways going into Baltimore. Who was responsible for that solution? Regardless of all comments, Governor Hogan is my choice. He is trying to help Marylanders and has not raised taxes as did former Governor O'Malley. OMG I'M HAVING A HOGASM!!! I definitely believe the Express lanes will help, they encourage consistant highway speeds along the routes that are upgraded with them. I don't agree with the plan to increase the number of Express lanes by narrowing the Express lanes and narrowing shoulders. I think it decreases the available margin of error for drivers. I see more efficient use if the current Inner two Express lanes where programmed for EZ-pass flex/ Hov-2 and seperated like the 495 Express lanes. Starting at Montrose Rd and ending at Clarksburg road with 2 mile openings of the barriers between interchanges for the Toll lanes and General Express lanes. To enable toll lane to general express lane changes. Preserving the emergency shoulders of both sides of the Express lanes. Then increase the number of local lanes from 4 to 6 between Montrose Rd and the I-370 Interchange. Followed with the extension of the local lanes at 4 Lane width after I-370 up to Father Hurley Blvd. Then end the local lanes after Father Hurley, and narrowing down to an 8 Lane highway until narrowing again after MD121 to 6 lanes into Frederick county. I'm just glad that one of the corridors in our area is going through the planning stages of an update. Even with a highway and business spiteful county council.